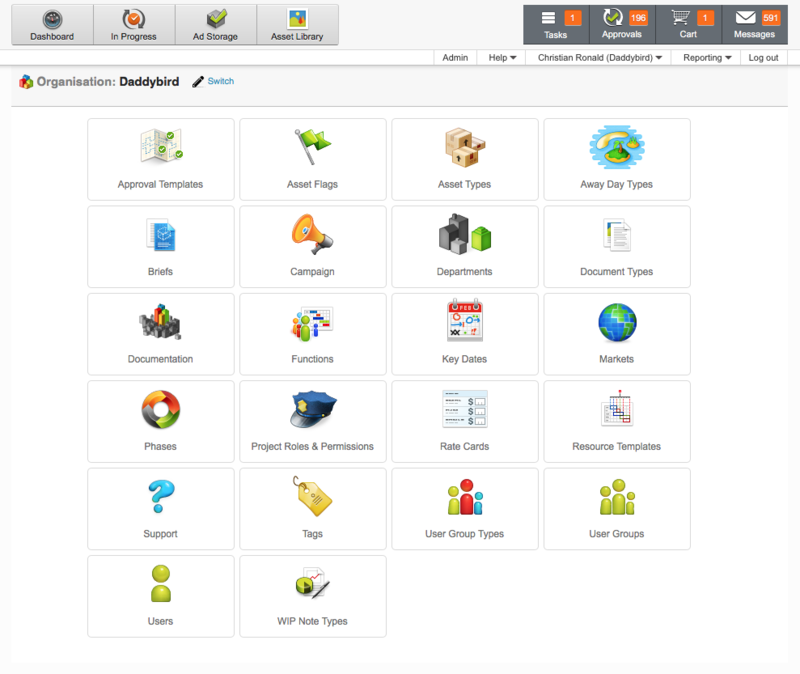 This is an overview of admation’s Approval Templates. 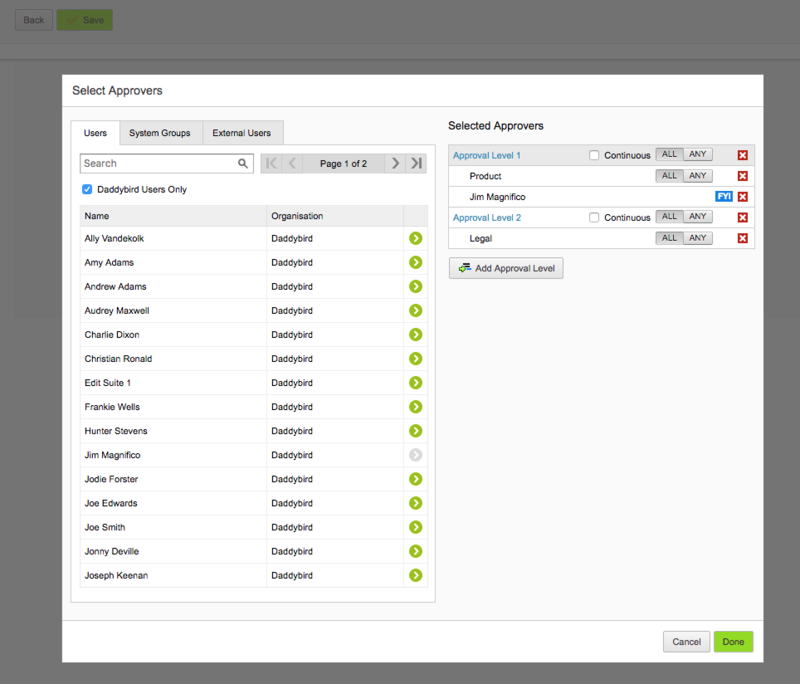 Admation’s marketing project management software enables marketers to set customised approval pathways to make sure that artwork goes to the right stakeholders in the right sequence. Approval pathways can be set at a project level to ensure there is consistency throughout a project. Tiered approval paths will see to it that once one stakeholder/group has reviewed and approved artwork it is automatically sent to the next. Click on Admin and then Approval Templates. 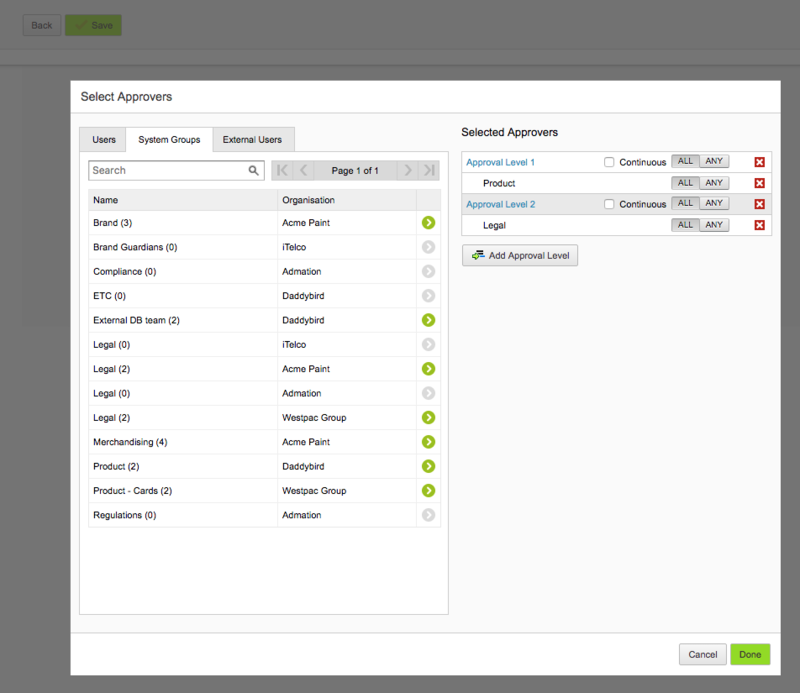 To create a new approval pathway, click on New Approval Template. Next specify the name of your template, whether or not you allow other agencies/clients to use the template and then click on the edit icon. 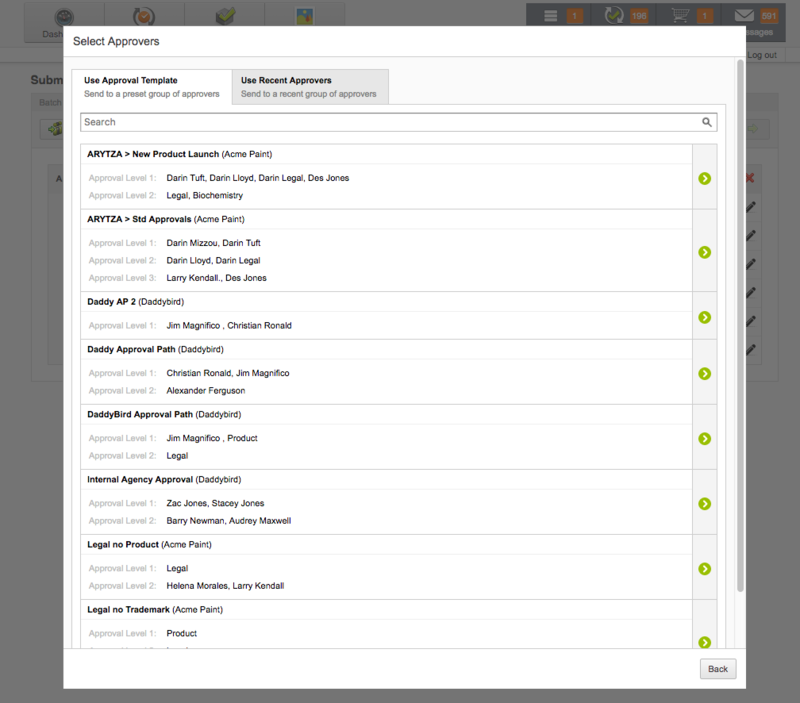 Click on Users or System Groups (the latter if you’d like to send the approval to a whole team such as Product). For this example, we’ll select Product. 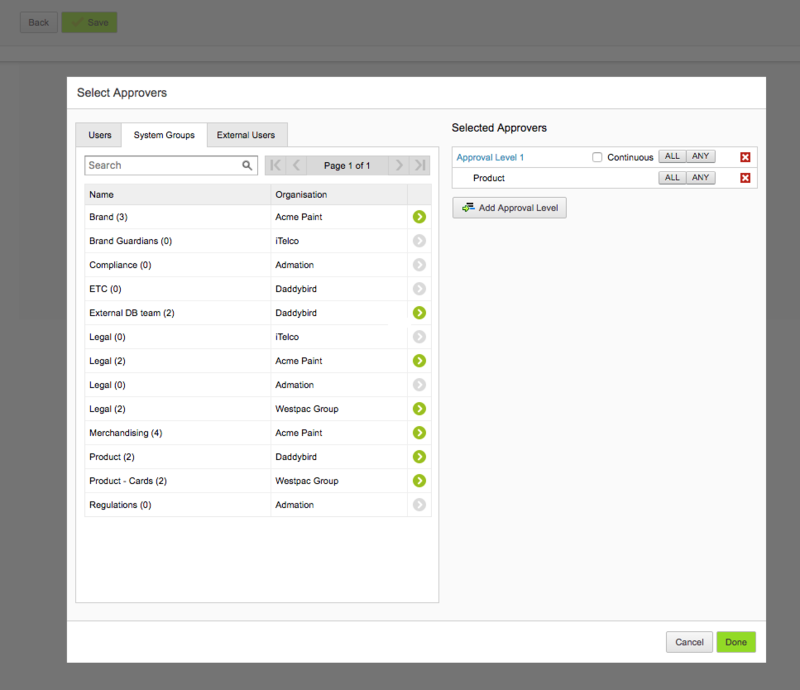 To select another approval level, click on Add Approval Level and add another group such as Legal. This means the approval will first go to Product and only once the item has been approved by this group will it be automatically sent to Legal. In each approval level, you can select whether you want a specified member in a group to give approval or all of its members. If you want to add single users then click on Users to add another approval level. Single users can also be sent an item as an FYI. When you’re finished creating your approval pathway, click Done and then Save. Now that your template has been created, you only ever have to click on the template to send artwork for approval along this customised approval pathway.